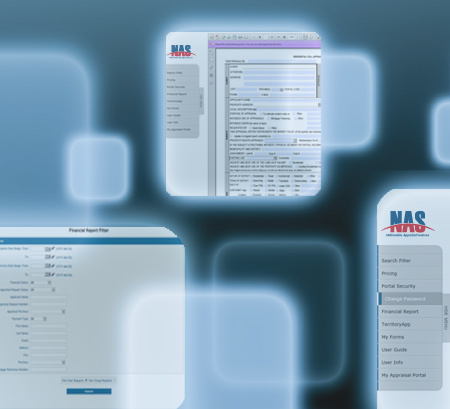 The NAS platform was the first to introduce automated load balancing when selecting appraisers for an assignment. The system reviews comprehensive business rules determined by either NAS or the client which include approved appraisers, appraiser ranking, regional coverage, quality, service and appraiser capacity; prior to assigning an appraiser. The NAS system allows an even and efficient distribution of assignments to appraisers and also mitigates the risk of potential collusion between client and appraisers.As needed, NAS can also direct work to specific approved appraisers.